In this article, I want to dive deeper into two blockchain scalability solutions, sharding, and sidechains. I’ll address the benefits and downsides for choosing either as a scalability solution and add a comparison between the two. First, I’ll discuss the scalability issue. So, let’s dive in. Why do we need a scalability solution? Imagine you are a farmer that grows potatoes and after harvesting, you want to sell those potatoes at the national greenery center. In order to have your potatoes enter the auction, the greenery requires your potatoes to be rated by industry professionals. The rating will be based on low quality to high quality and has 10 different tiers with tier 10 being the highest quality. The group of industry professionals in charge of rating your potatoes is comprised of 50 people. Each will individually grade your potatoes. Besides you, there are 500 other farmers who also want to sell their potatoes at the national greenery. Each of these farmers will go through the rating process with their harvest being graded by 50 different industry professionals. As you can imagine it will take way too long for all the potatoes to be rated and this method isn’t scalable especially when the number of farmers that want to sell their potatoes at the greenery keeps increasing. The greenery’s scalability problem is comparable to a blockchain’s scalability issue. Blockchains can only process a certain amount of transactions per second. Let’s take Ethereum’s blockchain as an example and refer back to the farmers and the greenery. Ethereum (Greenery) will require all the nodes (the auctioneers) on the network to store and process all the transactions that are taking place (rate all the farmer’s potatoes). 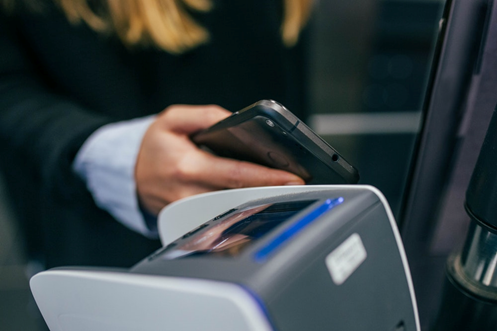 The process however provides a secure and legit solution (the more industry professionals grade the potatoes the most accurate average grade is reached) as every transaction goes through every node before consensus is reached (a grade has been given). The greater the number of full nodes on a network, the slower and less scalable the blockchain becomes. To solve this problem, scalability solutions are in the making. In this article, I will focus on explaining sharding and sidechains. 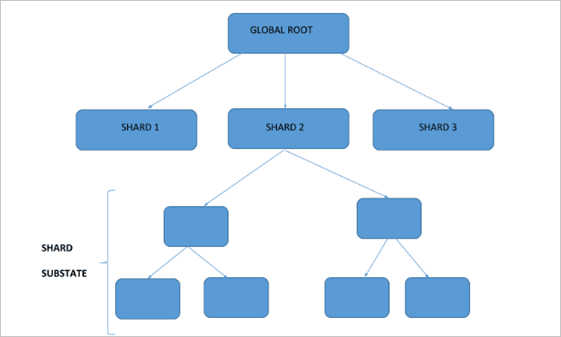 Sharding is considered a layer 1 solution as it is implemented into the base-level protocol of the blockchain. It basically divides the network into teams. After fractioning the network each node is responsible to process its own transactions. Sharding has been around for centralized databases for a long time. For centralized databases, this sharding works very well as it has a centralized entity and is almost immune to malicious actors interfering with the database. Applying to shard to decentralized databases is a whole new ball-game as there will be ill-intended nodes trying to corrupt the network. The safety mechanism that will be implemented in Proof-of-Stake (PoS) blockchains that opt for the sharding solution is the fact that the malicious actor is unable to choose a specific shard to work on and it does not know which shard he will be assigned to in advance. Projects that aim to implement sharding as a scalability solution are Ethereum, Zilliqa, and Cardano. We know Ethereum has been developing a sharding solution for a long time now and Zilliqa recently postponed their main net launch until somewhere in 2019 which makes one wonder if we have the time to wait for sharding to be fully developed in order to solve the scalability issue. There are some rumors going around that sharding will be implemented in the Ethereum blockchain in 2020. A sidechain is a separate blockchain that is attached to its main chain using a two-way peg (see the image above). Sidechains are aligned in parallel with the main blockchain. The sidechain technology has been around for some time. It first appeared in 2014 when Dr. Adam Back published a research paper called: Enabling Blockchain Innovations with Pegged Sidechains. Sidechains will allow for digital assets from one blockchain to be used in a separate blockchain (the sidechain) and if needed they can be moved back to the original blockchain. The benefits of implementing sidechains in decentralized networks are huge. For instance, take the gaming industry. Let’s say you are playing a popular decentralized Role-Playing Game (RPG) and your character has just found a unique in-game item that was hidden in a specific world. Your friend has just discovered a new decentralized RPG that he started playing. How cool would it be to be able to airdrop your character including all its achievements into the new game that your friend is playing? You can show him your unique item in this new game. That’s only one of the advantages of sidechains. Some blockchain projects (e.g. Ardor, MOAC) might also refer to sidechains as child chains, with the main blockchain being the mother chain. 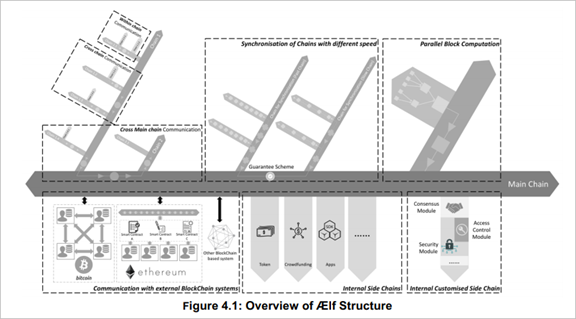 One of the projects implementing sidechains into their blockchain protocol is Aelf. I like the way Aelf is implementing sidechains as they will be adding some innovative additional features to their blockchain which makes them quite unique. - To resolve the scalability issue, Aelf proposes parallel processing to achieve high-throughput and low latency including the separation of the processing and database components the Blockchain. - Aelf will implement resource segregation, which enables each smart contract to run on its own blockchain. - To avoid issues with reaching consensus on scalability and other core topics that can lead to a split into two different chains, Aelf is setting transparent ground rules that will lead to less conflict regarding the direction the project is heading. Specialized Delegated Nodes will be assigned to perform special tasks. Critical decisions will be executed through a voting system that requires representative democracy. Delegated Nodes need to have enough backing from Aelf stakeholders to be able to participate in Aelf’s governance voting. Recently Aelf’s testnet results were announced and transactions running on the Aelf blockchain already reached 14,968 transactions per second (TPS), which is a massive increase opposed to transactions on the Ethereum blockchain, which average around 15 TPS. By implementing the 3 main features: scalability, resource segregation, and a governance system, Aelf is on its way to becoming a frontrunner for projects aiming to set a Blockchain 3.0 example. Just last month Aelf celebrated its one-year anniversary. For an overview of the journey so far, I will refer you to this article. In the battle between Sharding VS Sidechain, the winner at this time is the sidechain solution in my opinion. Sharding is still an unproven technology for decentralized ideas whereas sidechains are ready to be implemented. The importance of a scalability solution must be top priority if we want this industry to move forward. A popular online decentralized game that requires blockchain technology can only thrive if a blockchain does not overload on a massive increase in transactions. As I mentioned in my previous article about Aelf, I see a lot of innovative features and unique approaches to building a blockchain 3.0 standard. Would you like to know more about Aelf and their approach to implement sidechains as a scaling solution, you can visit their website, read their whitepaper or read my previous article about Aelf, which includes a project overview. Disclaimer: This article is not intended as investment advice. It is just my personal opinion. You should always do your own research. Full disclosure: I own ELF tokens. Subscribe to my channels Steemit, Medium and Twitter if you like my articles and would like to be informed about Blockchain, cryptocurrency projects and news. You can also read my articles on LinkedIn. This story is published in The Startup, Medium’s largest entrepreneurship publication followed by + 375,367 people.